Taking you from glittering Disco Diva to posh lunch the Dazzle Razzle womens court shoe from Irregular Choice is definitely a shoe with the WOW! 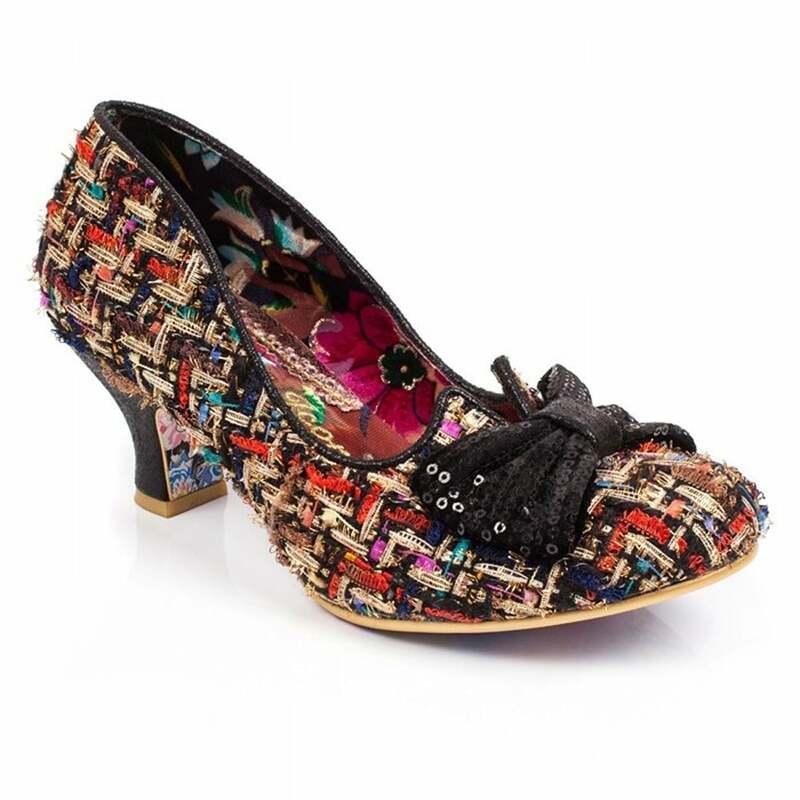 factor, complete a stunning multi-coloured ragged tweed fabric uppers with eye-catching metallic threads running through and a beautiful black sequinned bow across the toes. Stylish and glamorous, these statement womens shoes with neat low heels are the perfect pair to keep your feet looking pretty and feeling great all day (or night!) long. Inside, the womens court shoe is lined with a soft textile carrying a floral print and the and the Irregular Choice branding in gold thread. Even the soles have not been forgotten with their pretty floral print of roses and bees! Wearing these Irregular Choice Razzle Dazzle Womens Low Heel Court Shoes are enough to make anyone instantly fall in love - get your pair today. Please note that these shoes are made from a ragged tweed material and loose threads on the upper are an intentional feature of the fabric.